In electrical terms, an electric battery is a device that consists of at least one electrochemical cell capable of converting stored chemical energy into electrical energy. Ever since batteries were first invented in 1800, and even more so after the technical improvements in 1836, batteries have been a very common source of power in many households and industries throughout the world. Batteries are either disposable (primary) or rechargeable (secondary). 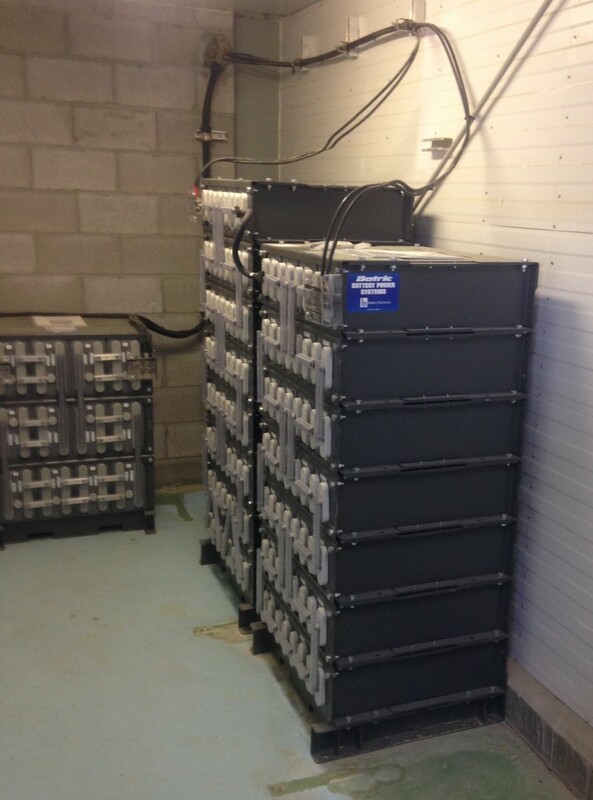 Primary batteries are designed to be used until the juice runs out, and then discarded. Rechargeable batteries can be recharged and used for several years. 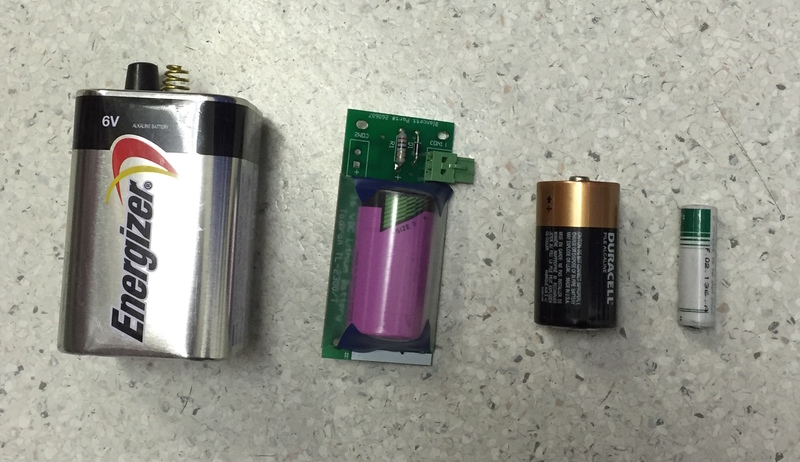 Batteries are available in a wide range of sizes from tiny cells used in hearing aids to huge banks that fill an entire room, built to supply backup power to computer data centers or telephone exchanges (aka UPS system). The chemical reaction within the battery is what produces electricity. In a one-cell battery there is a negative electrode, a positive electrode, an electrolyte (conducts ions) and a separator. Benjamin Franklin was the first to coin the term “battery” in 1748, to describe an arrangement of electrically charged glass plates. Luigi Galvani studied electrical nerve impulses and demonstrated his findings between 1780 and 1786, which provided the foundation of research for following inventors to create batteries. The first such inventor was Alessandro Volta who created the Voltaic Pile in 1800. With this invention he discovered a practical way of generating electricity. 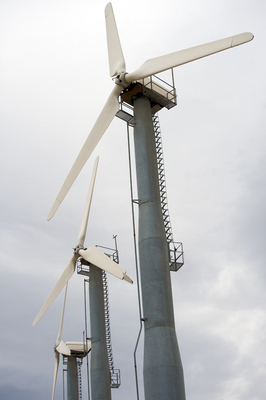 The Voltaic Pile was constructed with zinc and copper discs, and brine-soaked cardboard. Volta layered the components, alternating between a zinc disc and copper disc, and placed the brine soaked cardboard in between the discs. This pile produced an electrical current and became the first “wet cell battery” capable of producing a steady, reliable electrical current that could be carried over farther distances than anything produced up until this point. However, the Voltaic Pile was not able to deliver the electrical current for extended periods of time. To solve this problem John F. Daniell, in 1836, produced the Daniell Cell. This design used one copper sulfate and one zinc sulfate electrolyte, and lasted much longer than the Voltaic Pile. This cell, or battery, produced around 1.1 volts. It was used to provide power to devices such as telegraph machines, doorbells and telephones, and remained a popular choice for over a hundred years. In 1839, Sir William Robert Grove developed the concept of producing electricity by combining hydrogen with oxygen, creating the first fuel cell. Up until 1942, other inventors attempted to make improvements to liquid electrode batteries, but none were as successful as Grove’s, except for the Bunsen in 1842. The first rechargeable battery was invented by Gaston Planté in 1859. It was the first lead-acid electric battery with a practical storage system that could be recharged to keep on producing electricity. Today this type of battery is mostly used in cars. Georges Leclanché, a French engineer, invented the Leclanché cell in 1866, which was a carbon-zinc wet cell battery. Leclanché originally created this cell using a porous pot with crushed manganese dioxide mixed with carbon acting as the positive electrode. A zinc rod was used as the negative pole. Into the pot he packed the cathode, and inserted a carbon rod to collect the current. The pot and zinc rod (anode) were then immersed into a solution made of ammonium chloride. The liquid was able to seep through the porous material and act like the electrolyte, making contact with the material acting as the cathode. Georges Laclanché improved on this design further by replacing the ammonium chloride with liquid electrolyte, and developed a method to seal the battery. This became the first dry cell which could now be transported from one place to another. In 1881 J.A. Thiebaut obtained a patent for the first electric battery to have the porous pot and the negative electrode both placed inside a zinc cup. That same year, Carl Gassner developed the first dry cell battery to achieve commercial success. The first rechargeable battery (nickel-cadmium) was invented in 1899 by Waldemar Jungner. Thomas Alva Edison came up with the alkaline storage battery just two years later. His cell used iron as the negative (anode) and nickelic oxide as the positive (cathode). The small alkaline-manganese battery was developed by Lew Urry in 1949. Urry was an inventor working in the research department of Eveready Battery Co. at the time. This new battery lasted five to eight times longer than its predecessor, the zinc-carbon cell. The first solar batteries were invented in 1954 by Daryl Chapin, Calvin Fuller and Gerald Pearson. This battery was able to convert energy from the sun into electricity. The team of inventors took several thin silicon strips and placed them in direct sunlight. These strips captured free electrons and converted them into an electrical current. The research was funded by Bell Laboratories, who launched the first public service trial in 1955 using a telephone carrier system. The electric battery has seen many improvements over the years, but inventors aren’t finished yet. New technology demands smaller batteries capable of lasting longer, like the ones used in cellphones and laptop computers. The NiCd has almost completely replaced the NiMH because it has a higher capacity, however the NiCd is still used in two-way radios, many different types of power tools and some medical equipment. The latest development in the electric battery industry is the NiZn. This technology is still in the infant stage and has not yet established its presence commercially. Other recent developments in the world of electric batteries include embedded electronic technology as seen in the USBCELL. This allows you to charge an AA cell with a USB connector. There are also smart electric battery packs which come with monitors that show you the state-of-charge and battery protection circuits designed to prevent damage caused by an over-discharge and low self-discharge (LSD) batteries which allow rechargeable (secondary) batteries to be charged up prior to shipping.